One of the most well-known personalities of his day, Oscar Wilde charmed and beguiled readers and audiences with his eloquent and biting observations, his smart quips, and the witticisms peppering his own speech and the speech of his characters. The Wisdom of Oscar Wilde collects both his best-loved quotes and longer excerpts, revealing a man wise to human nature and his times, and never shy with his searing comments on men, women, art, behavior, children, politics, youth, and a range of other topics. Drawing from his plays, articles, reviews, speeches, letters, and other works, this definitive volume is an entertaining immersion into the world of this charming genius. In his writing, Mark Twain had a distinctly American humor and was never shy to use it. In this collection of his mostly wise and sometimes controversial observations about the world he lived in, its people, and its ideas, listeners can learn firsthand why he became one of the most popular and irreverent figures of his day. Drawing from his books, short stories, essays, sketches, and speeches, as well as from travel and autobiographical pieces, The Wisdom of Mark Twain demonstrates that his quick tongue and keen eye offered ideas - explicit and implicit, funny and entertaining, troubling and thought provoking - that remain relatable over 100 years later. 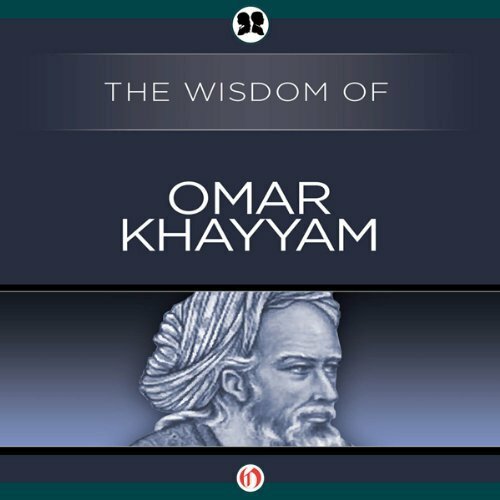 While better known in his time for his mathematical and astronomical works, 11th-century Persian philosopher and poet Omar Khayyam is best known today for his romantic poetry collected in the Rubaiyat. This selection presents 365 of the approximately 1,000 quatrains, translated from the original Persian. Khayyam’s poetry draws listeners in with its lush imagery and timeless observations on the human experience and the metaphysical mysteries of our world. As wise and intriguing as they are beautifully crafted, Khayyam’s verse has inspired much Western art and literature. Leo Tolstoy was born to an aristocratic Russian family, became a world-famous influential novelist, and then chose to lead the simple life of a peasant. Dating from this last part of his life, Tolstoy’s influential book What I Believe takes readers along on the path to a life modeled literally on Jesus Christ’s "Sermon on the Mount" and the teachings of the Gospels. In revealing and frank essays he reimagines a faith without dogma, centered solely on Jesus’ doctrine of love, humility, and self-denial. This collection of chapters from What I Believe includes examinations of Resist Not Evil, Judge Not Thy Neighbor, Letting Go of Fear, and Allowing Forgiveness. Drawn from the sacred books of Buddhism, this collection reveals the insights and beliefs at the heart of the world’s fourth-largest religion. Siddhartha Guatama, a sixth-century Hindu warrior prince, renounced the world in his search for the meaning of life and became the Buddha, or “Enlightened One,” while meditating at Bodh Gaya. From that moment forward the Buddha sought to share his own enlightenment with all of mankind. Through the Four Noble Truths and the Noble Eightfold Path, the Buddha taught followers to let go of desire and worldly attachments in order to alleviate suffering while embracing practices of meditation, mindfulness, and right conduct. 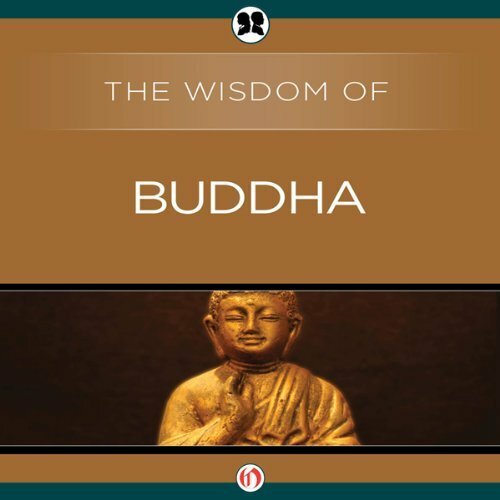 Covering the birth and death of the Buddha, as well as the major tenets of Buddhism, including karma and the middle doctrine, The Wisdom of Buddha offers a profound view of the Buddhist religion and its founder. Teacher, politician, philosopher, and student, Confucius offered wisdom and aphorisms on a variety of topics that transcend borders and time. Whether considering his own life, human nature, or a society’s responsibilities, Confucius’s teachings emphasize personal and governmental morality, correctness of social relationships, justice, and sincerity. He aimed to effect social and political reform, and left a legacy of wisdom that remains true today. Organized by topic, this collection of quotes, sayings, and lessons is often as entertaining as it is educational. Uncover the tenets of Islam through the words of its founder. This compelling examination of the life and sayings of Muhammad offers the modern reader both a historical context for and a spiritual guide to the principals at the heart of the world’s second-largest religion. Drawing on the Koran and the Sunnah, this collection of quotes is organized by topic from A to Z and provides a window into the eloquence, practicality, and ethical fortitude with which Muhammad preached to his followers. Covering a diverse range of topics, from marriage and civic charity to the individual’s relationship to God and the afterlife, the Prophet’s words dispel misconceptions about the history of the faith, its leader, and its core beliefs. With footnotes, a glossary of terms, scriptural citations, and a timeline, The Wisdom of Muhammad is essential reading for anyone who wants to have a true understanding of Islam. When the Indian people, inspired by the words of Mahatma Gandhi, overthrew British rule, they proved that great political change could exist without violence. Revered both as a saint and a master politician in his native country, Gandhi proffered a philosophy that combined Thoreau’s doctrine of civil disobedience with many Hindu beliefs. A comprehensive introduction to this influential modern thinker, The Wisdom of Gandhi recounts his deeply held views on a variety of topics, including passive resistance, self-discipline, democracy, and even well-being. This is essential text for the history and political listener, as well as anyone looking for words to inspire change.